Gen. Esa Pulkkinen, director general of the EU's military staff, poses for a photo in Ottawa, on March 20, 2019. As Canada's military mission races to leave Mali amid pleas from the United Nations to stay, the European Union is making a fresh appeal to the Canadian Forces to partner with it in the West African country. As Canada’s military mission races to leave Mali and the United Nations pleads for it to stay, the European Union is making a fresh appeal to the Canadian Forces to partner with it in the West African country. 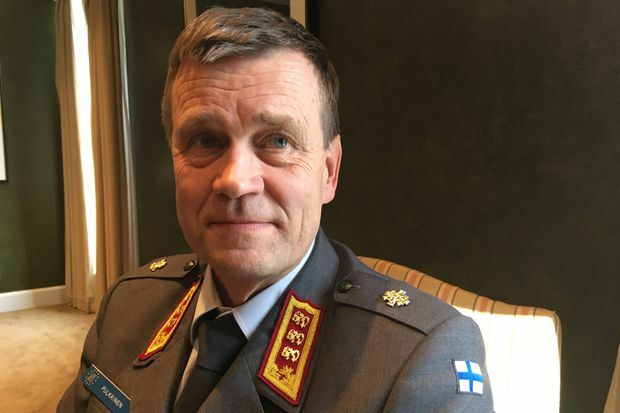 Pulkkinen said he’s aware of the context of his request – it comes as Canada faces pressure from the UN to extend its Mali peacekeeping mission in order to bridge a gap until Romanian replacements can arrive.